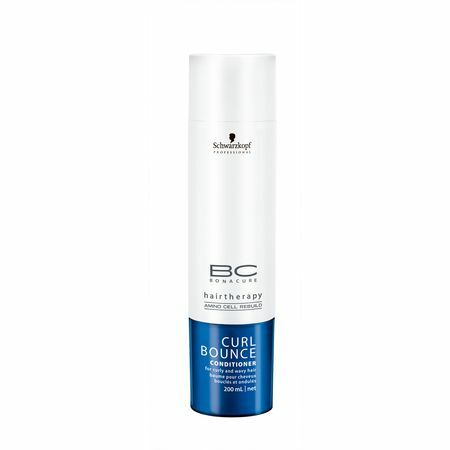 Schwarzkopf Bonacure Curl Bounce Conditioner is a conditioner which re-energizes curly and wavy hair providing weightless bounce and shine. Using it's Curl Memory Complex it returns hair to it's natural springiness, whilst defining it's curls. Directions: Use after Curl Bounce Shampoo, leave for 1-3 mins and rinse.